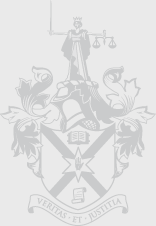 The Court of Appeal today proposed a new approach to dealing with the issue of disclosure of documents in a case seeking documents connected to the Ballast Report. The Court suggested this proportionate approach may be suitable for legacy cases with a view to ensuring that the issue of disclosure can be dealt with expeditiously and fairly. In January 2007 the Police Ombudsman for Northern Ireland (“PONI”) published the Ballast Report which was the result of an investigation into the police handling and management of identified informants in the early 1990s onwards. The Report concluded that RUC/PSNI Special Branch officers colluded with terrorists by facilitating the situation in which informants were able to continue to engage in paramilitary activity, some of them holding senior positions in the UVF, despite the availability of extensive information as to the alleged involvement in crime. The report stated that rather than investigate their crimes, police officers in effect protected them. One of the informants, “Informant 1”, is referred to in the report as pointing a gun at John Flynn (“the respondent”) on 12 March 1992 and trying to shoot him. The weapon failed to discharge. Informant 1 then made a physical attack on the respondent who managed to fight him off. On 6 May 1997, an improvised explosive device was placed underneath the respondent’s car by Informant 1 or persons acting on his behalf. The device did not detonate. On 3 March 2008, the respondent issued civil proceedings against the Chief Constable of the PSNI (“the applicant”) and his servants and agents arising out of these incidents. The statement of claim and defence were not served until 10 February 2012 which is the date on which the pleadings are deemed to be closed. Order 24, Rule 2(1) of the Rules of the Court of Judicature (“RCJ”) requires each party to make and serve on the other party a list of the documents relating to matter in question in the action within 14 days. The applicant did not comply with that Order and on 21 June 2013 the Master made an Order that the applicant’s defence should be struck out unless a list of documents was served within 21 days. Further extensions to this period of time were made by agreement between the parties in order to await the outcome of investigations by PONI regarding potential charges against PSNI officers. In or around October 2014, PONI indicated that it was not going to pursue criminal proceedings against the relevant PSNI officers and on 17 November 2014 the applicant served an amended defence in which it admitted that Informant 1 was acting as a covert human intelligence source at all material times, that he had assaulted the respondent and placed an explosive device under his car, and that the police officers under his direction were guilty of misfeasance in public office. This meant that liability was no longer an issue in the action. The applicant submitted that he had complied with the obligation under Order 24 but the Master rejected this and made an Order that the applicant should make discovery of 94 categories of documents as sought by the respondent. A summons was issued on 21 August 2015 and heard by Mr Justice Colton. He was satisfied that notwithstanding the admissions that had been made by the applicant, there remained a number of significant matters in issue between the parties including whether Informant 1 was acting as a servant or agent of the applicant and what was the extent of the misfeasance in public office committed by the police officers. The judge was satisfied that at some stage there had been documents within the applicant’s possession which were material to the outstanding issues in the case. Affidavits lodged on behalf of the applicant indicated that extensive work would be required in order to complete discovery and then each document would have to undergo a detailed assessment to identify material requiring consideration for Public Interest Immunity (PII”). It was estimated that this process could take around two years. Mr Justice Colton, on the question of proportionality, concluded on 16 June 2016 that the Order for discovery should issue in respect of 13 categories of documents and not the 94 categories ordered by the Master. Mr Justice Colton’s decision was upheld by the Court of Appeal on 24 February 2017. On 8 March 2017 the discovery application was relisted before Mr Justice Stephens. Affidavit evidence was presented which stated that the applicant would have to start from scratch as there was no list of documents that had been made available by PSNI to PONI. A later affidavit referred to folders “recently” located which contained a number of receipts relating to documents provided to PONI. The judge said it was clear that there was no need to start from scratch as considerable work had already been undertaken to compile material for the Ballast Report. Mr Justice Stephens acknowledged that the discovery process was resource intensive but that years had passed without compliance and there was no clear, acceptable plan for future compliance. He indicated that he would have refused the applicant’s application had it not been for the respondent’s agreement to an extension until noon on 1 October 2017. His ruling was the subject of this application for leave to appeal. Counsel for the applicant took issue with Mr Justice Stephens’ conclusion that there had been no attempt to comply with the Orders made by the Master but accepted that there had been delay. He claimed the applicant had expeditiously complied with Order 24 once it became clear that there was unlikely to be any prosecution of police officers. Counsel for the applicant was also critical of the trial judge’s comments on the delay in identifying and recovering the potentially relevant material from the PONI and contended that there had been no failure to comply with the Order of Mr Justice Colton but rather that the applicant had pursued “entirely legitimate appeals”. In order to facilitate the matters set out above the Court of Appeal extended time for compliance by five weeks from today adding that whether any further time should be allowed will depend upon the applicant demonstrating its commitment to facilitate an expeditious and fair trial. The Court considered its suggested approach seems appropriate for other similar cases and appropriate steps should now also be taken in such cases. 1. This summary should be read together with the judgment and should not be read in isolation. Nothing said in this summary adds to or amends the judgment. 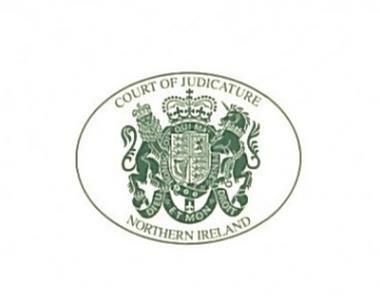 The full judgment will be available on the Judiciary NI website (www.judiciary-ni.gov.uk).